It has been already two weeks that spring has arrived. Have you started accomplishing you Spring Bucket List tasks? If no then it’s time to work on it. Viewing Bloomed flowers is my favorite thing to do in the Spring. Hence, How can you forget most famous Japanese festival celebrated in the United States? There are plenty of spots to view Cherry Blossom in states except DC and Seattle is one of them. Seattle consist of multicultural people. The University of Washington is one of the great places to view Cherry Blossoms. The University of Washington is usually known as UW. Except for Cherry Blossom at UW in Seattle, it is a great spot for spring picnic as well. The Bloom time varies Each year because it totally depends on mother nature. It weather gets warmer then bloom starts early. If the weather stays cold for a longer period of time then it takes more time to bloom. However, this year temperature was so much fluctuating and it feels like spring since February last week. The place where Cherry blossom trees are planted in UW is called UW Quad. According to the information from UW, these Quad Cherry trees were moved from the Montlake Bridge area. They were planted here in 1962. These trees were already 20 years old when it moved to UW. 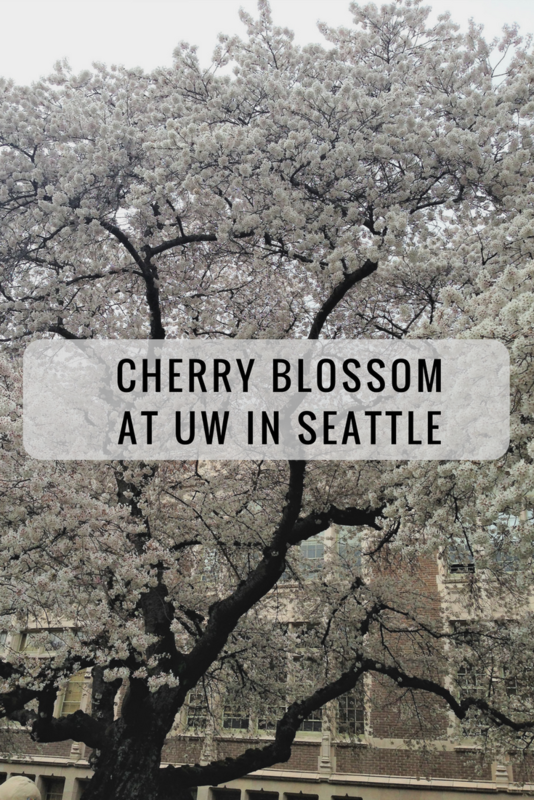 The UW cherry Blossom in Seattle is favorite spring outing spot for many people. Better to go early because in weekends you will struggle to find a parking spot. This place gets pretty much crowded, so better to plan ahead. You will see many people bringing picnic stuff and enjoy their selves. For some people, it makes good spring activity with families. You will also find few random cherry trees around the campus. If you want to spend the whole day in UW campus then you can include Burke Museum, the Henry Art Gallery and UW bookstore in your itinerary. Is your header picture Denver?? I love the cherry blossoms at the UW!